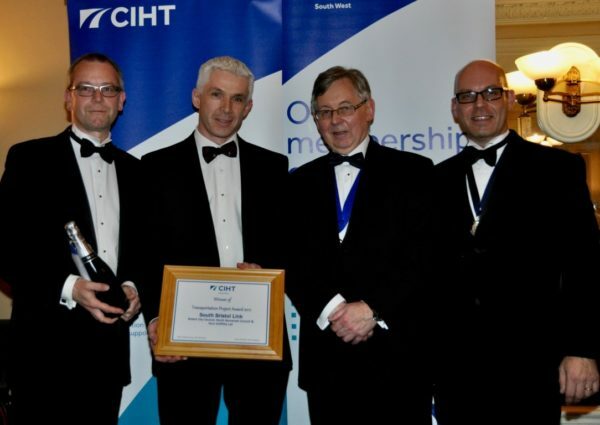 The Chartered Institution of Highways & Transportation South West Region recently Awarded the South Bristol Link scheme the Transportation Project of the Year. The South Bristol Link (SBL) was a partnership project with North Somerset Council, Bristol City Council, MetroBus with Griffiths being responsible for the design and construction. The scheme forms part of the wider West of England MetroBus Project and comprises a 4.5km express bus route and roadway, including new cycle and pedestrian paths. The SBL is a significant addition to the local transport network, which provides improved links to the M5 and other principal roads. It included: 4.5 km of new carriageway and cycle paths, 0.5 km dedicated bus lane, 2 roundabouts, 2 highway bridges, 5 signalised junctions, 8 new sustainable drainage attenuation ponds, major landscaping and the restoration and preservation of three historic lime kilns on the A38 roundabout. 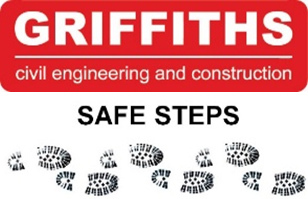 Dr Simon Dunn from Griffiths said that the award is “a real acknowledgement of how we have demonstrated best practice and achieved excellence”.